When needing a custom cut piece of sheet metal it is often a hassle to get it. Either you will have to buy more sheet metal than you actually need, plus the fact that you still have to cut it to the size. Now if you want to bend the sheet metal that is a whole new story. At MetalsCut4U, we make it easy for you. Order your custom cut sheet metal just the way you need it. Choose from 3 different kinds of metal, Aluminum, Carbon Steel and Stainless Steel. Choose from different finishes and thicknesses. Finally choose the shape or form you really need. Enter your measurements for the metal part you want. After you entered your measurements, click on calculate. You will receive instantly the price of your individual custom cut sheet metal. Like it? add it to your cart. 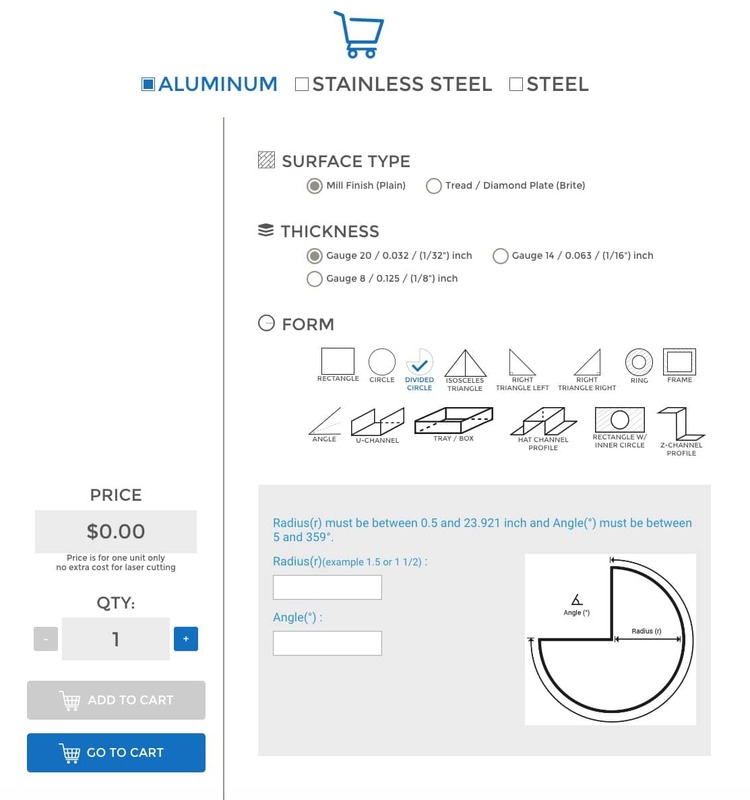 That's all you have to do to define, build, configure your custom cut sheet metal online.